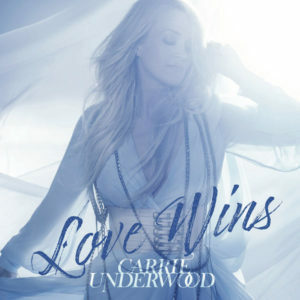 Nashville, TN – Multi-platinum-selling global superstar Carrie Underwood released the official music video for her new single “Love Wins.” The powerful, uplifting and colorful video was directed by Shane Drake. “Love Wins” written by Underwood, David Garcia and Brett James is the new single from her highly-anticipated studio album, Cry Pretty, available on Friday, September 14. 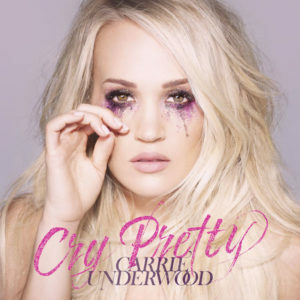 Underwood co-wrote nine of the songs on Cry Pretty which she co-produced alongside David Garcia. Underwood, in the midst of cross-country promotion for Cry Pretty, has scheduled appearances on The Tonight Show Starring Jimmy Fallon (September 13), Today Show Summer Concert Series (September 14), CBS Sunday Morning (September 16) and The Ellen Show (September 19). On September 20, she receives her star on the Hollywood Walk of Fame and will perform at the upcoming iHeart Radio Music Festival on September 22 in Las Vegas.